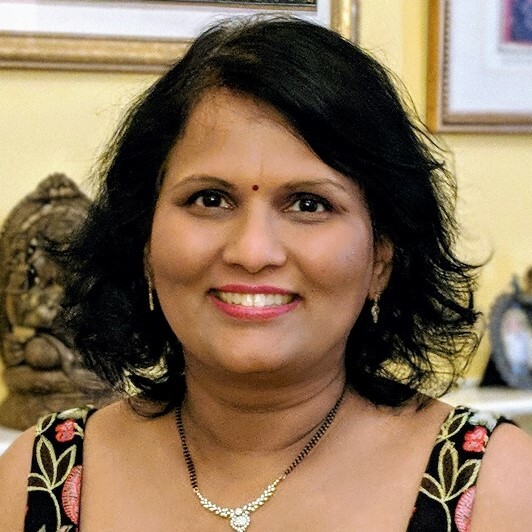 Karuna Pande Joshi is a tenure-track Assistant Professor in Information Systems department at UMBC. She is the UMBC Site director for the Center of Accelerated Real Time Analytics (CARTA) . She is also the Director of the Knowledge, Analytics, Cognitive and Cloud Lab . Her primary research area is Data Science, Legal Text Analytics, Cloud Computing and Healthcare IT. She is currently developing projects related to Oblivious Cloud and automating Cloud Legal Documents. She has developed a framework to automate the acquisition and consumption of cloud-based services. She has also worked in collaboration with NIST to develop standards for Cloud Usability. Dr. Joshi has been awarded research grants by NSF, ONR, DoD, Cisco and GE Research. She was also awarded the NSF I-Corps award and TEDCO MII grant to explore commercial opportunities for her research and has created a start-up on Data Science and Cloud technologies. She received her MS and Ph.D. in Computer Science from UMBC, where she was twice awarded the IBM Ph.D. Fellowship. She did her Bachelor of Engineering (Computers) from University of Mumbai. Dr. Joshi has also worked for over 15 years in the Industry primarily as an IT Project Manager. She worked as a Senior Information Management Officer at the International Monetary Fund for nearly a decade. Her managerial experience includes Portfolio Management, Program/Project Management, and Change Management. She has managed people and projects across various domains including Databases, Web Content Management, Document Management, Web/Database Integration, Helpdesk Applications, IT Knowledge/Information Management, Facilities Applications and Network/Telecom Applications. S. Ramapatruni, S. N. Narayanan, S. Mittal, A. Joshi, and K. P. Joshi, "Anomaly Detection Models for Smart Home Security", InProceedings, 5th IEEE International Conference on Big Data Security on Cloud (BigDataSecurity 2019), April 2019, 72 downloads. P. Ranade, S. Mittal, A. Joshi, and K. P. Joshi, "Using Deep Neural Networks to Translate Multi-lingual Threat Intelligence", InProceedings, IEEE Intelligence and Security Informatics (IEEE ISI) 2018, November 2018, 312 downloads. S. N. Narayanan, A. Ganesan, K. P. Joshi, T. Oates, A. Joshi, and T. Finin, "Early Detection of Cybersecurity Threats Using Collaborative Cognition", InProceedings, Proceedings of the 4th IEEE International Conference on Collaboration and Internet Computing (CIC), October 2018, 540 downloads. M. P. Joshi, K. P. Joshi, and T. Finin, "Attribute Based Encryption for Secure Access to Cloud Based EHR Systems", InProceedings, International Conference on Cloud Computing, July 2018, 443 downloads. A. Banerjee and K. P. Joshi, "Link Before You Share: Managing Privacy Policies through Blockchain", InProceedings, 4th International Workshop on Privacy and Security of Big Data (PSBD 2017), in conjunction with 2017 IEEE International Conference on Big Data (IEEE BigData 2017), December 2017, 654 downloads. S. Mittal, A. Gupta, K. P. Joshi, C. Pearce, and A. Joshi, "A Question and Answering System for Management of Cloud Service Level Agreements", InProceedings, IEEE International Conference on Cloud Computing, June 2017, 532 downloads. A. Banerjee, R. Dalal, S. Mittal, and K. P. Joshi, "Generating Digital Twin models using Knowledge Graphs for Industrial Production Lines", InProceedings, Workshop on Industrial Knowledge Graphs, co-located with the 9th International ACM Web Science Conference 2017, June 2017, 906 downloads. K. P. Joshi, A. Gupta, S. Mittal, C. Pearce, A. Joshi, and T. Finin, "Semantic Approach to Automating Management of Big Data Privacy Policies", InProceedings, IEEE BigData 2016, December 2016, 1191 downloads. A. Gupta, S. Mittal, K. P. Joshi, C. Pearce, and A. Joshi, "Streamlining Management of Multiple Cloud Services", InProceedings, IEEE International Conference on Cloud Computing, June 2016, 892 downloads. K. P. Joshi, Y. Yesha, and T. Finin, "An Ontology for a HIPAA compliant cloud service", InProceedings, 4th International IBM Cloud Academy Conference ICACON 2016, June 2016, 1136 downloads. P. K. Das, S. N. Narayanan, N. K. Sharma, A. Joshi, K. P. Joshi, and T. Finin, "Context-Sensitive Policy Based Security in Internet of Things", InProceedings, 2016 IEEE International Conference on Smart Computing (SMARTCOMP), May 2016, 1131 downloads. S. Mittal, K. P. Joshi, C. Pearce, and A. Joshi, "Parallelizing Natural Language Techniques for Knowledge Extraction from Cloud Service Level Agreements", InProceedings, 2015 IEEE International Conference on Big Data, October 2015, 874 downloads. B. Stanton, M. Theofanos, and K. P. Joshi, "Framework for Cloud Usability", InProceedings, HCI International 2015, August 2015, 726 downloads. K. P. Joshi and e., "TCO for Cloud Services: A Framework", Article, EDUCAUSE ECAR Working Groups , April 2015, 690 downloads. K. P. Joshi and C. Pearce, "Automating Cloud Service Level Agreements using Semantic Technologies", InProceedings, CLaw Workshop, IEEE International Conference on Cloud Engineering (IC2E), March 2015, 966 downloads. K. P. Joshi, Y. Yesha, and T. Finin, "Automating Cloud Services Lifecycle through Semantic technologies", Article, IEEE Transactions on Service Computing, January 2014, 1690 downloads. K. P. Joshi, Y. Yesha, T. Finin, and Y. Yesha, "A policy-based cloud broker for the VCL platform", Article, International Journal of Cloud Computing, January 2013, 1204 downloads. K. P. Joshi, T. Finin, Y. Yesha, A. Joshi, N. Golpayegani, and N. Adam, "A Policy-based Approach to Smart Cloud Services", InProceedings, Proceedings of the Annual Service Research and Innovation Institute Global Conference, July 2012, 1289 downloads. K. Weaver, A. Komlodi, J. Wang, K. P. Joshi, and e., "Parents Views And Rules About Technology: As Told By Their Middle School Children in Hungary and India", InProceedings, Cultural Attitudes Towards Technology and Communication 2012, June 2012, 827 downloads. K. P. Joshi, Y. Yesha, T. Finin, and A. Joshi, "Policy based Cloud Services on a VCL platform", InProceedings, Proceedings of the first International IBM Cloud Academy Conference (ICA CON 2012), April 2012, 1984 downloads. A. Joshi, T. Finin, K. P. Joshi, and M. Oberoi, "A Policy Driven Semantic Approach to Data Usage Management", InProceedings, DUMW Workshop in conjunction with WWW 2012, April 2012, 1040 downloads. K. P. Joshi, "DC Proposal: Automation of Service Lifecycle on the Cloud by Using Semantic Technologies", InProceedings, Proceedings of tenth International Semantic Web Conference, Part II, October 2011, 1159 downloads. K. P. Joshi, Y. Yesha, A. Ozok, Y. Yesha, and e., "User-centric Smart Services on the Cloud", InBook, The Smart Internet, October 2010, 1184 downloads. D. Chapman, K. P. Joshi, Y. Yesha, M. Halem, Y. Yesha, and P. Nguyen, "Scientific Services on the Cloud", InBook, Handbook of Cloud Computing, September 2010, 1161 downloads. K. P. Joshi, A. Joshi, T. Finin, and Y. Yesha, "Policy Driven Negotiations for Managing Virtualized Services on the Cloud", InProceedings, Proceedings of 19th Annual Frontiers in Service Conference, Sweden, June 2010, June 2010, 962 downloads. K. P. Joshi, T. Finin, and Y. Yesha, "Integrated Lifecycle of IT Services in a Cloud Environment (Detailed paper)", InProceedings, In proceedings of The Third International Conference on the Virtual Computing Initiative (ICVCI 2009), April 2010, 2160 downloads. K. P. Joshi, Y. Yesha, A. Ozok, and Y. Yesha, "User-centric Smart Services", Proceedings, (Invited paper) in proceedings of CASCON 2009, November 2009, 1827 downloads. K. P. Joshi, T. Finin, and Y. Yesha, "Integrated Lifecycle of IT Services in a Cloud Environment (extended abstract)", InProceedings, In proceedings of The Third International Conference on the Virtual Computing Initiative (ICVCI 2009), October 2009, 1747 downloads. B. Stanton, M. Theofanos, and K. P. Joshi, "Framework for Cloud Usability", TechReport, NISTIR, August 2014, 778 downloads. K. P. Joshi, T. Finin, and Y. Yesha, "A Semantic Approach to Automate Service Management in the Cloud", TechReport, UMBC Tech report TR-CS-11-02, June 2011, 906 downloads. K. P. Joshi, A. Joshi, Y. Yesha, and e., "A Framework for Relating Frontstage and Backstage Quality in Virtualized Services", TechReport, TR-CS-09-01, May 2009, 1513 downloads. A. Joshi, K. P. Joshi, and R. Krishnapuram, "On Mining Web Access Logs", TechReport, University of Maryland Baltimore County, October 1999, 3495 downloads. K. P. Joshi, "Analysis of Data Mining Algorithms", TechReport, UMBC, March 1997, 8200 downloads, 22 citations. (Person) Karuna Pande Joshi advises (Person) Amit Hendre. (Person) Karuna Pande Joshi advises (Person) Vaishali Narkhede. (Person) Karuna Pande Joshi advises (Person) Srishty Saha. (Person) Karuna Pande Joshi advises (Person) Maithilee P Joshi. (Person) Lavanya Elluri is advised by (Person) Karuna Pande Joshi. (Person) Raka Dalal is advised by (Person) Karuna Pande Joshi. (Person) Karuna Pande Joshi advises (Person) Arya Renjan. (Person) Karuna Pande Joshi advises (Person) Ankur Nagar. (Person) Karuna Pande Joshi advises (Person) Lavanya Elluri. (Person) Karuna Pande Joshi advises (Person) Agniva Banerjee.